This website features the latest information on the Flagg Mineral Foundation and the activities of its members. 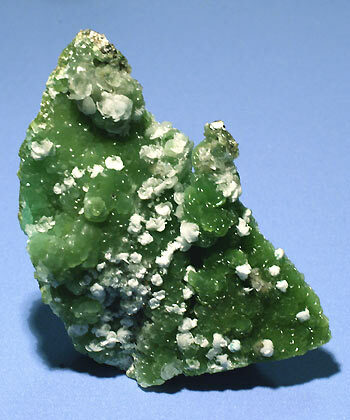 We help support and promote public interest in earth science and the mineral collecting hobby. The site contains information on our activities, upcoming events, the Foundation Collection, and how to become a member. 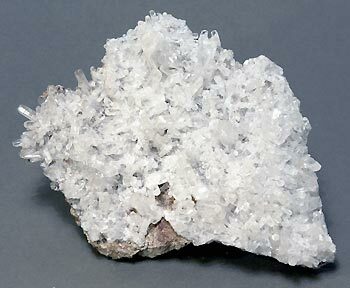 The Foundation was formed in 1962 with the goal of establishing a mineral museum in the Phoenix area. Through the dedication and hard work of its members, a world class collection of minerals was on permanent display in downtown Phoenix. Unfortunately, due to Arizona House Bill HB2251, the museum was closed in 2011. Currently, our membership includes ~400 people in a number of states. 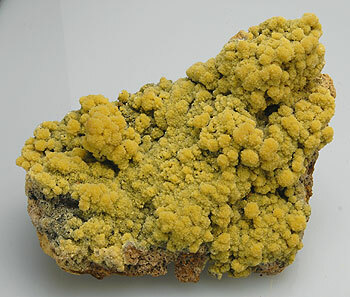 In addition, we arrange local field trips and maintain a fine mineral collection with >700 specimens. A brief biography of Mr. Flagg was written by the Chairman of the organization that was the precusor to the current Foundation. The biography was first published as a part of a May 1965 Arizona Highways article “The Woolery Mineral Collection”. This on-line “reprint” is courtesy of Arizona Highways magazine. Arthur L. Flagg was born in Woonsocket, Rhode Island in 1883. At an early age he became interested in minerals through contacts made in his father’s jewelry store. While still quite young he decided he wanted to make minerals, in one form or another, his life’s work. During his term as a student at Brown University, the building housing the mneral collection was twice destroyed by fire. Young Flagg was selected as one of the students to examine, clean, and reidentify the specimens so damaged. This gave him a chance to handle a large variety of specimens as well as to begin to recognize and identify minerals. He was also selected to do some undergraduate work on certain geologic quadrangles surveys being done by the U.S. Government. It happened that these quadrangles were in the Bradshaw Mountains of Central Arizona. This work aroused his interest in Arizona: its geology, mines, and minerals; so soon after graduation in 1906 he headed for the Arizona hills. Thus he began a career in mining, geology and mineralogy that lasted for more than 55 years. With the exception of a short period as a mining engineer in Old Mexico, all of this time was spent in Arizona. Arthur Flagg possessed a connoisseur’s eye for the beauty of minerals and a missionary’s zeal for interesting others in the fun of mineral collecting. His special interest was in teaching children and young people the economic importance of minerals as well as the fun of mineral collecting. He gave away many thousands of specimens to rockhounds, both young and old, and in all parts of the world. At every meeting of the Mineralogical Society of Arizona, he could be seen handling out carefully wrapped specimens to members, especially juniors. These were passed out almost surreptitiously, as he neither asked nor wanted public recognition of his gifts. The presents were of a size and quality to fit the collector’s interests and advancement. Few mineralogists have lived who could identify minerals by sight as rapidly and accurately as could Mr. Flagg. We had the privilege of watching him on one occasion when he was identifying a box of mineral specimens from one of the nearby colleges. An assistant was unwrapping the minerals as he removed them from the box, then taking a couple of steps and handing them to Flagg. In one instance while the assistant was taking those steps, Mr. Flagg told us the name of the mineral, the name of the discoverer, the name and location of the mine that first reported it, the year of its identification, the principal chemical contents and the technical paper reporting its discovery. He never touched the mineral and had named it while it was still several feet away. 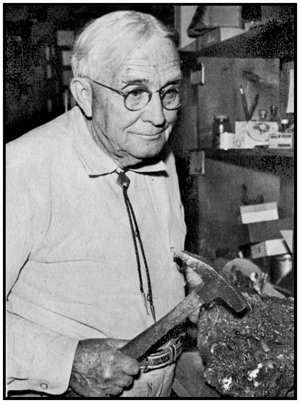 During Mr. Flagg’s association with the Arizona Department of Mineral Resources, he had hundreds of rockhounds and propsectors bringing in specimens and ore samples for identification. He must have heard “WHATISTHISSTUFF” many thousands of times. He knew Arizona minerals, mines, and locations so well that he was seldom stumped and could usually tell the mining district and sometimes the mine where the sample was obtained. Arthur Flagg was well known to most of the Arizona mining men of his time and rendered assistance of one kind or another to many of them. He was never selfish with his time or knowledge. He was a founder and active member of several mining and mineralogical groups, among them the following: The Mineralogical Society of Arizona, The Small Mine Operators Association, The American Federation of Mineralogical Societies, and the Rocky Mountain Federation of Mineralogical Societies. He served as president of each of them, and several terms in some of them. During his 24 years as a member of the Mineralogical Society of Arizona, he missed only one or two meetings. Flagg was known through the nation as Mr. Rockhound – a title he well deserved. Mr. Flagg often expressed a desire to establish an Earth Sciences Museum in Arizona. He was the first curator of the Arizona Mineral Museum, but this was as close as he came to seeing this dream fulfilled. To get a free copy of Adobe Reader, click here.